Rachel Marron is one of the top selling singers in the music industry, but finds herself embroiled in a cat-and-mouse game with a crazed assassin. Seeking safety, Rachel hires Frank Farmer, a serious and former Secret Service agent with a haunting past, as her bodyguard. Her relaxed entourage and closeness with her fans makes Frank nervous. He sees all the security flaws in her everyday movements and forces her to create a bubble around herself. Fighting at almost every turn, Rachel and Frank fall for one another as the assassin gets even closer. 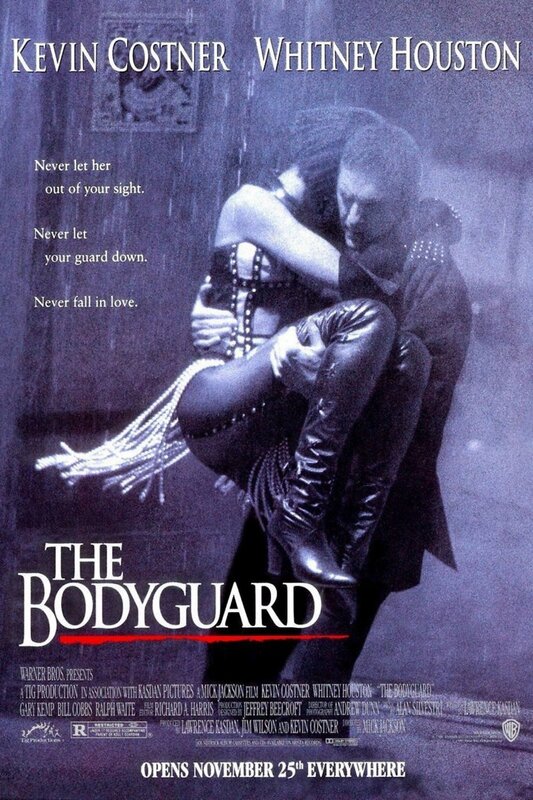 With Whitney Houston belting out the catchy soundtrack, "The Bodyguard" grabs you with its suspense and sexual tension. As the climatic moment arrives, you'll be rooting for Rachel and Frank to outwit the sinister villain.